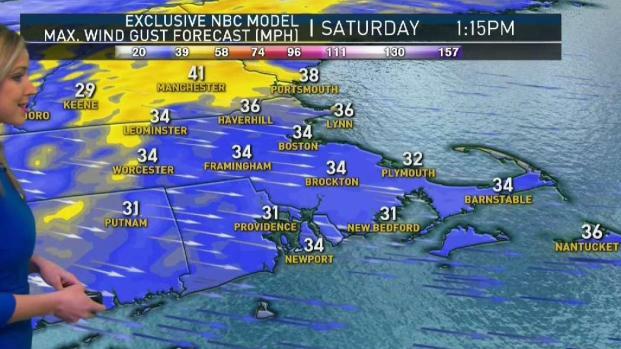 The wind is the big issue Saturday, as west gusts could be as high as 30-40 mph, especially across Cape Cod and the islands. The Saturday morning snow showers are a distant memory already as we see clearing skies and milder temperatures. Mostly sunny skies are in the forecast late Saturday with highs in the 40s in the south and upper 30s across northern New England. Higher wind gusts are likely in the northern mountains, along with lingering flurries, but they will clear late Saturday evening. Sunday brings us a warmup and plenty of late March sunshine as highs will be in the upper 50s in the south and 40s to the north. 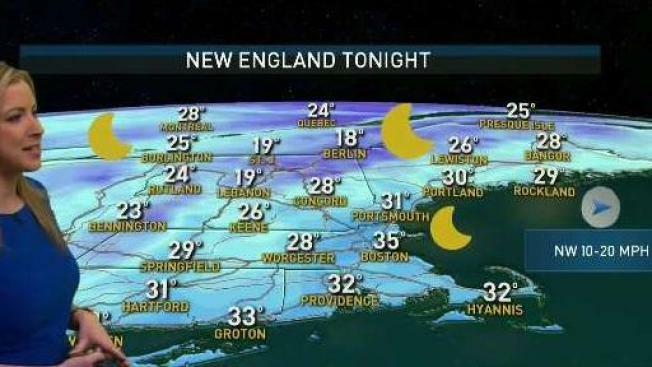 A cold front sweeps in from the north Sunday night into Monday morning. This will trigger some snow showers first for the North Country Sunday night. Southern New England will see the changes moving in early Monday morning for the drive into work or school, with a quick coating of snow accumulation. Any lingering precipitation will switch to rain late Monday morning with a mix in higher terrain, but it willl clear and cool down for everyone. Highs will be in the low 40s Monday, only in the 30s by Tuesday. High pressure takes over for mid-week next week. Plenty of sunshine Wednesday through Friday, with highs in the 40s Wednesday, 50s Thursday and around 60 on Friday. More 60s on the way Saturday, possibly a run at 70 across the interior. Scattered rain is likely Sunday as temperatures linger around 60. Showers will stay through Monday but temperatures will cool to the low 50s.